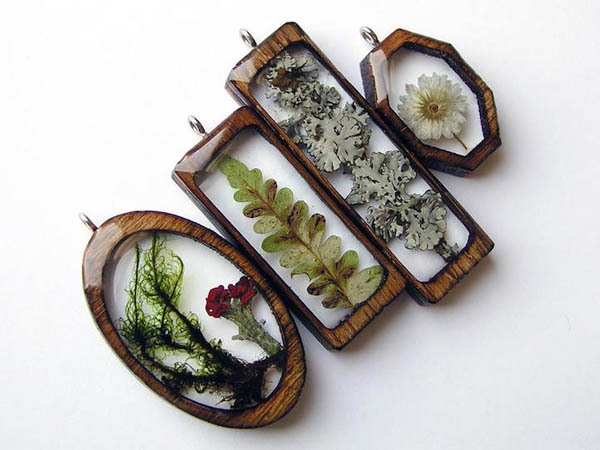 Inspired by Michigan’s Hiawatha National Forest, Erin LaRocque, the Chicago-based artist uses a wide range of natural resources, such as wood, oak, plants, resin, dried plants, hardwood, laser cut wood, natural materials, seeds, horsetails, horsetail, moss, lichen and other overlooked specimens as main subject to create her one-of-kind jewelry pendants. 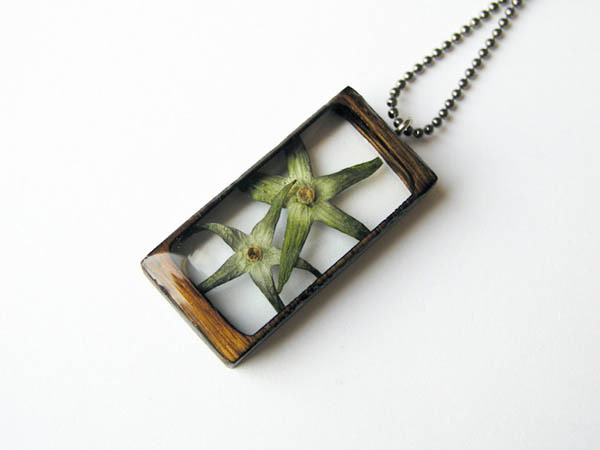 Those weeds are carefully prepared and encased by a clear resin inside laser cut oak or prine frame. 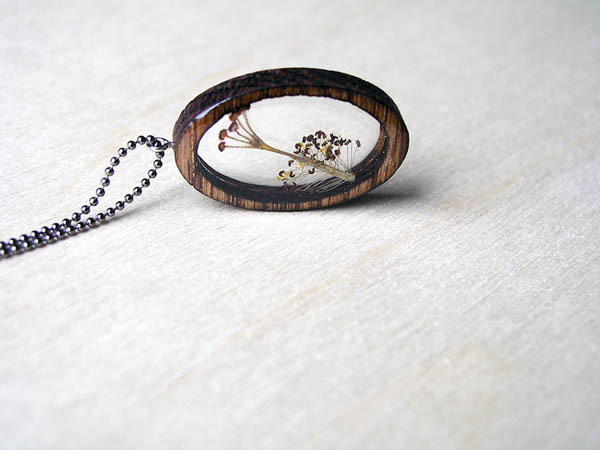 Since the artist does everything by hands, each piece might contain small imperfections, such as tiny bubbles. 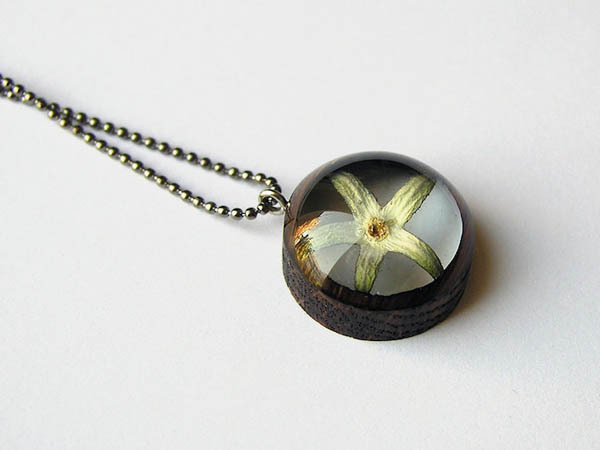 However, for the same reason, each delicate pendant ends up being a unique creation. 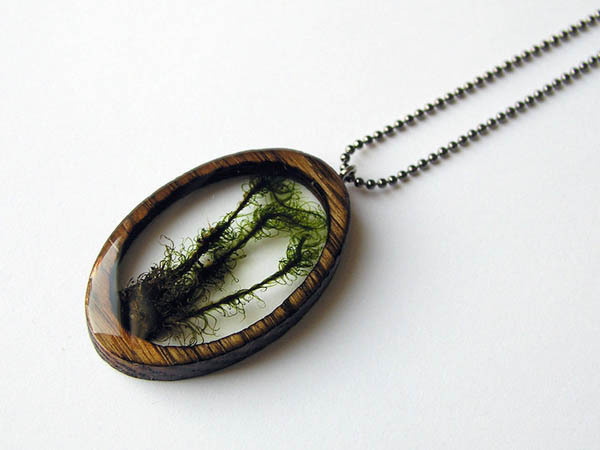 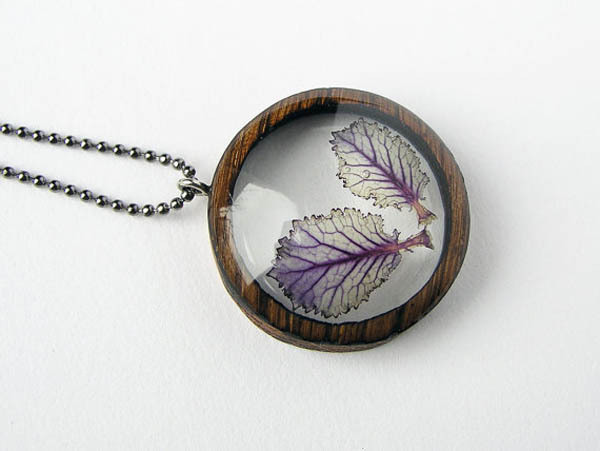 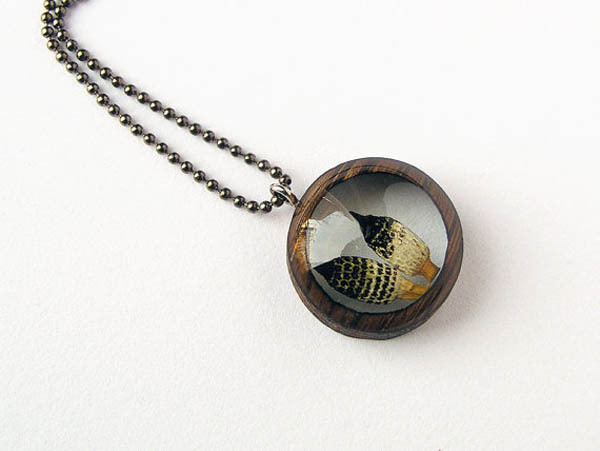 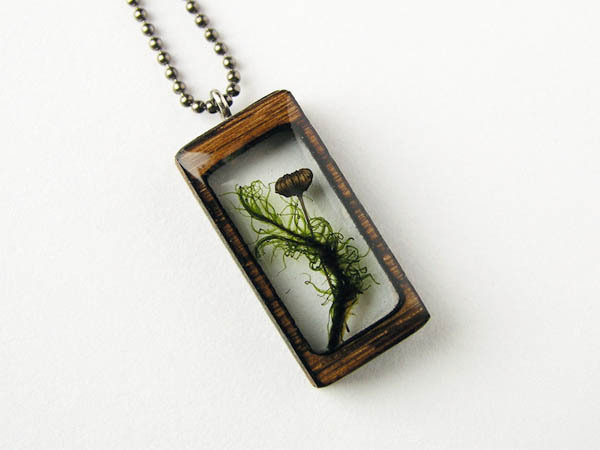 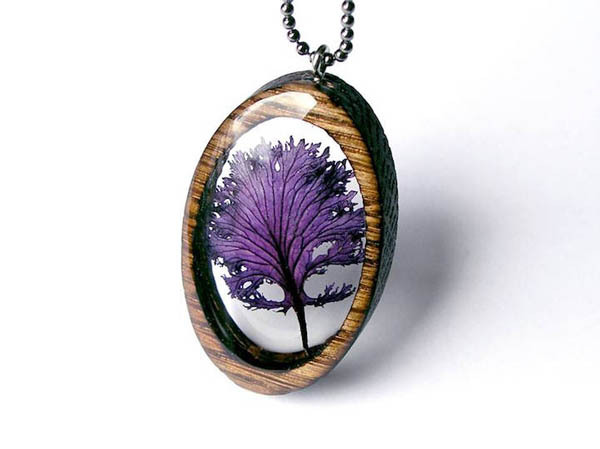 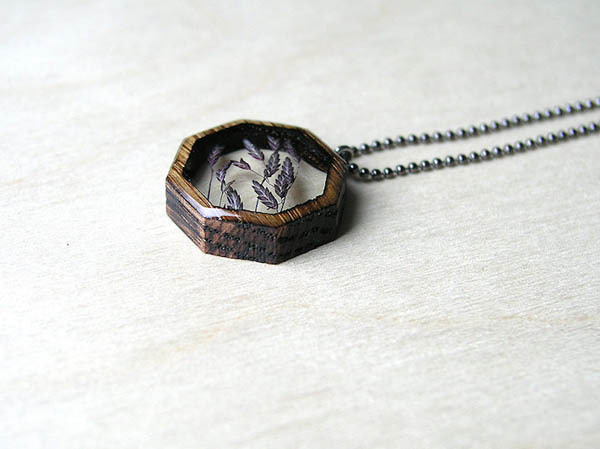 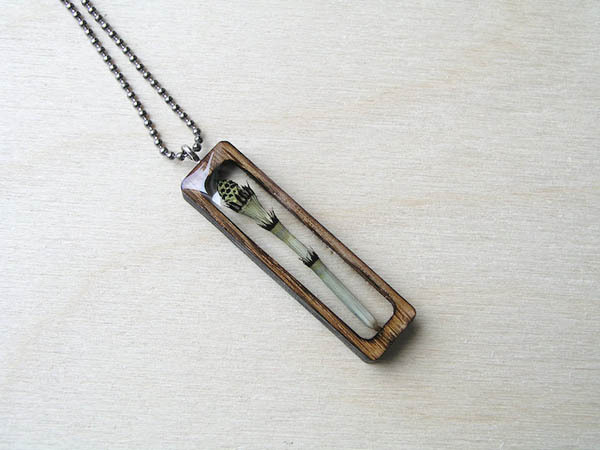 Love those “nature jewelry? 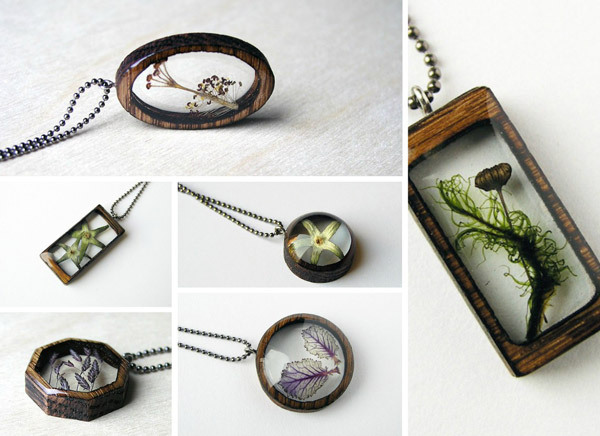 Check LaRocque’s Etsy shop.